There were celebrations all round today following Northumberland National Park’s nomination as National Park of The Year in the BBC Countryfile Magazine Awards 2015/16. Northumberland National Park has been nominated for the prestigious National Park of the Year Award by BBC presenter Ellie Harrison after BBC Countryfile Magazine asked experts to draw up a shortlist of nominees for each Award category. Glen Sanderson, Chairman of Northumberland National Park Authority, said: “We are hugely delighted to be nominated for the National Park of the Year Award. 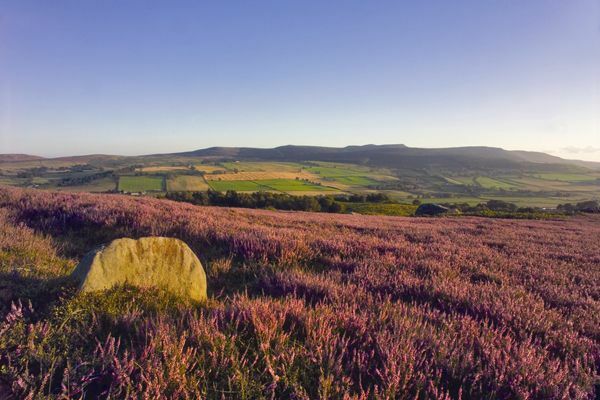 I am sure that this national recognition will really help put Northumberland National Park even more on the map and attract lots more visitors, allowing them to enjoy our stunning destination. Being nominated is largely down to the fantastic dedicated staff that we have working within the National Park Authority, of whom I am very proud. The BBC Countryfile Magazine Awards 2015-16, now in their fifth year, are a celebration of Britain’s countryside and its people from great heritage attractions and favourite holiday destinations, to the best nature reserves and the finest rural pubs. The 2015-16 Awards launch in the January 2016 issue of BBC Countryfile Magazine, on sale 18 December 2015, and feature 11 categories.